This article was taken from an interview that we had with Portland Helmich and was originally published by the Kripalu Center for Yoga and Health. We thought you might might enjoy it. We’re wishing you a holiday season filled with gratitude and open heartedness. The good news is that it’s possible, as long as you’re both invested and capable. “With someone who has the raw material, who has a solid foundation of emotional maturity, who shares your willingness to do the work, and with whom you have compatible values, you have a good chance of creating an optimal relationship,” Charlie says. 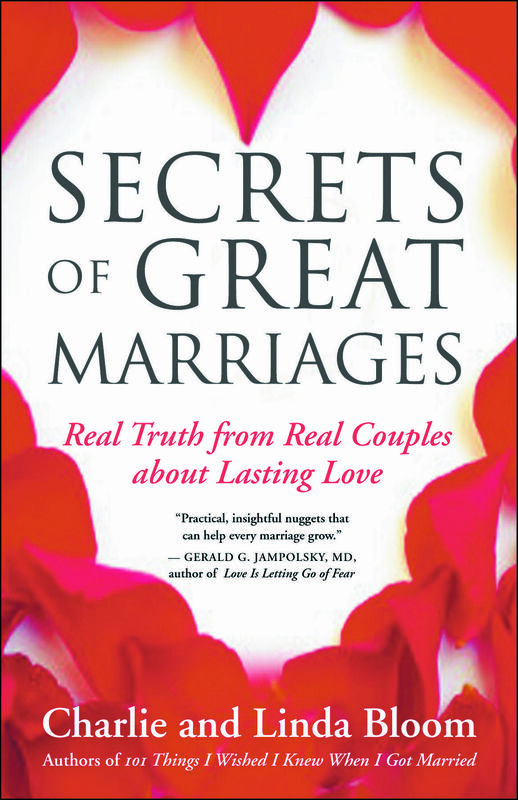 He and Linda define optimal relationships as those in which both people enjoy and delight in the relationship, experience a high level of trust, and have confidence that each of their needs will get met. Check in frequently with each other. Find a way to check in that fits who you are as a couple—it might be cuddling, or walking the dog, or having morning coffee together and chatting about the day ahead. Even very brief check-ins of a minute or two can make a difference. if you really show up and connect with each other. “These things can really build that bond of connection,” Linda says. Navigating differences is part and parcel of all relationships, but differences can show themselves more acutely at holiday time. More frugal partners may want to put a cap on gift shopping sooner than more lavish spenders. Extroverted partners might be psyched to attend every party, while introverted ones feel overextended. When differences emerge, conflicts are bound to arise. And when that happens, people often sit on angry feelings, or express them hurtfully. 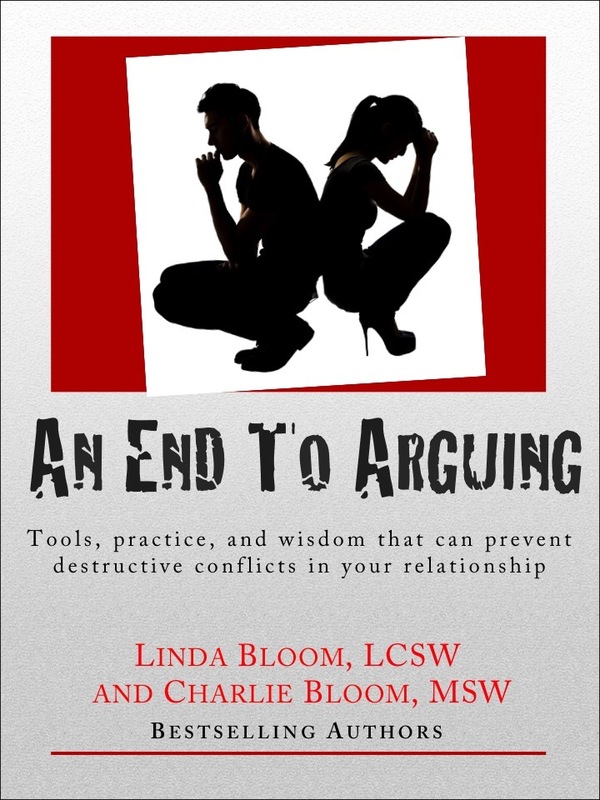 Linda suggests closing your mouth and putting yourself in your partner’s shoes. “See if you can feel what your partner is feeling,” she says. “Put your own feelings temporarily aside, and see if you can relate to the other person’s experience." Charlie encourages reactive partners to stop and ask themselves, "What is it that I felt just before I interrupted my partner?” Recognizing what triggers us enables us to interrupt an impulse towards defensiveness which can prevent a slide down the rabbit hole." But whether you struggle with empathy or with understanding your triggers, make an effort—after that awkward exchange at the holiday dinner table—to give your partner your full attention before jumping in with your point of view. “Keep in mind that silently listening doesn’t necessarily mean that you agree. 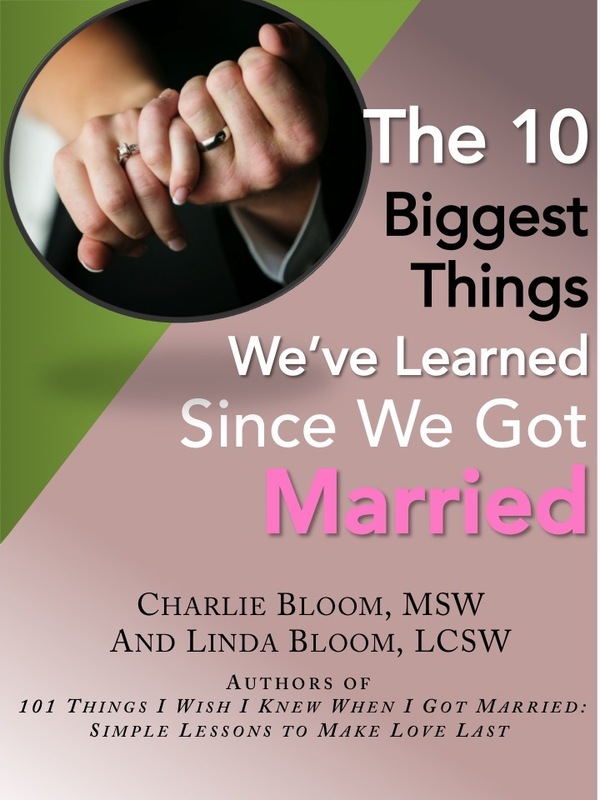 It’s important that your partner feels the he or she has been heard before offering your perspective,” Charlie says. Find out from your partner how you can best love them right now. According to relationship expert Dr. Gary Chapman, there are five main ways people like to receive love: touch, quality time, words of affirmation, acts of service and gifts. In the season of gift-giving, consider what will make your partner feel most loved. A piece of jewelry or the latest high-tech gadget? A massage after holiday shopping? 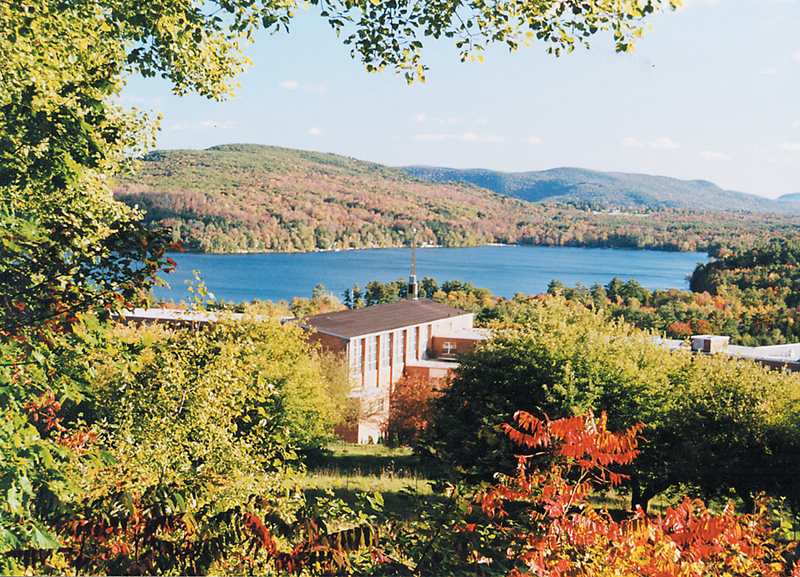 A getaway weekend for just the two of you? Cleaning the house before the guests come? Or a card with a love letter inside? If you’re not sure, it’s okay to ask. Help your partner to fulfill their desires. “Most of us have secret dreams that we fear we’ll never actualize in our lives,” says Linda, “but if we have someone who supports us in manifesting those dreams, their fulfillment becomes much more likely." As a holiday ritual (or anytime), Charlie and Linda recommend that couples use their imaginations and write down their individual visions for an optimal life. “The visions don’t have to be identical—bring them together and look for overlap,” Linda says. The Blooms say that when couples become each other’s “believing eyes”—seeing and reflecting back each other’s strength, beauty, and gifts, it brings them closer together. “When you support each other in creating a dream, you deepen the bond of trust.” Linda says. “The bonanza of benefits is more than you can imagine,” Linda says. “A great relationship is like a bomb shelter. When you have a bonded, intimate partnership, you have a buffer and an insulator. This doesn’t necessarily prevent adversity from your life, but it enables you to deal with life’s inevitable challenges and difficulties.The peace of mind when you experience when you’re loved for who you are, is the real jackpot! We're live on Facebook! We call this weekly series BloomTalks and in it we cover a wide range of topics, all of which relate directly to relationships. You can watch it in real time which means that we’re interactive. Viewers can offer us feedback, comments, and questions as we speak. Follow us on Facebook to view the upcoming BloomTalks! Thursdays at 12:30pm (PST) and you will see us LIVE! Check out our past BloomTalks by clicking on our videos. Stuck? In crisis? Need a strong dose of help? An intensive is an extended session with Charlie and Linda that is designed and personally customized to assist individuals or couples in breaking through impasses and relationship challenges that require in-depth and concentrated attention. In addition to receiving guidance in dealing with your concerns, you’ll get valuable tools to help you stay on track. Call 831.421.9822 for more information. Check out our blogs on these sites.